Below are the revenue maps for my apps, from Apple App Store and BlackBerry World. 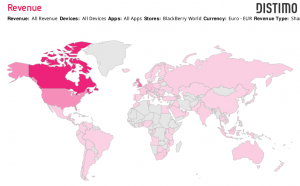 As you can see with Apple the US is king, while with BlackBerry the king is Canada. 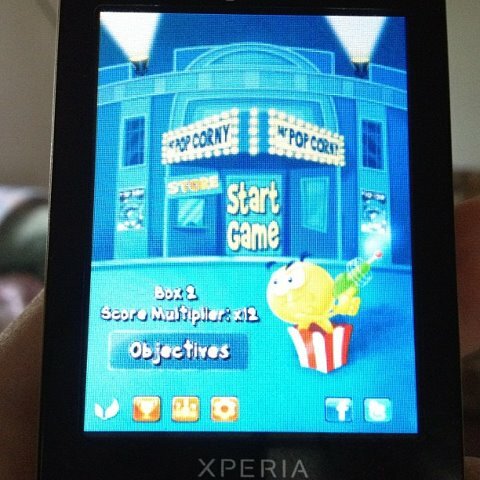 If you follow me online you probably know that the last weeks I have been porting Pop Corny to Android. I can say that it is a great experience and I myself can’t wait to put it out there. I am also going to blog about my experience and will try to provide any valuable information about the process. 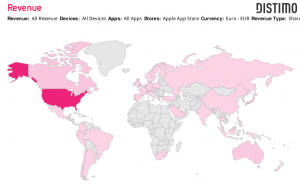 However the plague of Android that hears to the name “fragmentation” is creeping in, and I need your help to fight it! 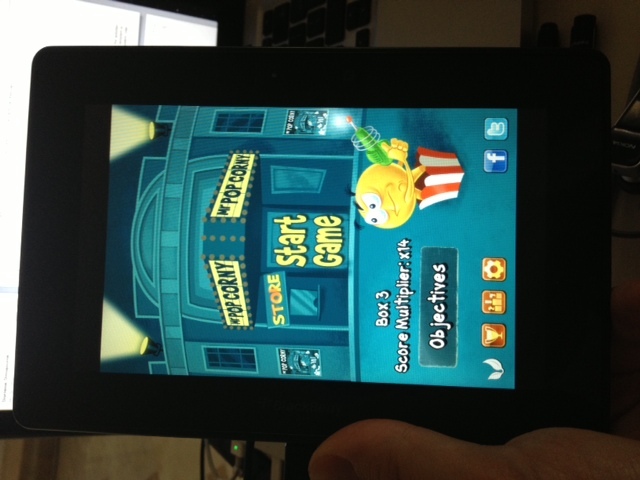 To tell you the truth this is going to be more of an ALPHA-BETA testing phase as I don’t have an Android device myself. I did try out 2-3 real devices but it is quite likely to take some time until I can have a stable beta running on most devices. This will require patience on your side. If you are not interested yourself, tell a friend. I will need all the help I can get! If you also happen to have an old device (new ones will do too! 😀 ) that you don’t mind sacrificing in the name of game development, I would gladly accept it as a testing device, and you would gain a special place in the game’s credits and more importantly in my heard. For this contact my directly at my email: harkal at gmail dot com. One of the blessings and curses of C++ is its Standardization Committee. The bureaucrats that steer the language can surely be both. I admit that I have found myself frustrated with the slowness and lag that C++ can have with catching up with progress, but when I think about it I wouldn’t be able to find a way to move forward such a huge language, with so many different forces pushing for its evolution. 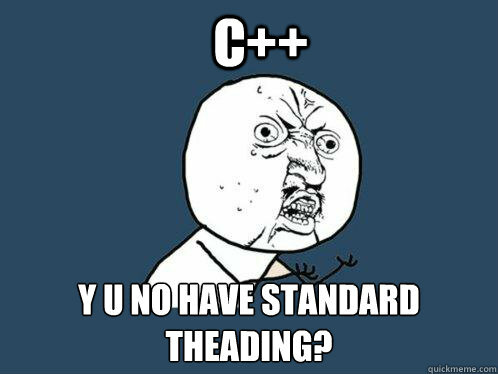 Today I read this article about the implementation of threading, parallelism and concurrency in C++, and it can be very explanatory on why questions “y u no standar threading, C++?” don’t have an easy answer. In one of my previous posts I talked about how you can make the Lua garbage collector (GC) more predictable in running time. This is a virtue that is highly valued in a GC used in games where you don’t have the luxury of going over you frame time. In that post I described a solution to the problem which works fine most of the time, leaving little space for garbage collection times that will hurt the framerate. However I ended that post with a promise to provide a better solution and in this post, I deliver. The ideal situation would be to have the GC run for a specific amount of time. This way the game engine will be able to assign exact CPU time to the GC based on the situation. For example one strategy would be to give a constant amount of time to the GC per frame. Lets say 2ms every frame. Or it can be more clever and take into consideration other parameters, like the amount of time it took to do the actual frame. Is there enough time left for this frame? If there is, spend some for GC, if not, hold it for the next frame when things might not be too tight. Other parameters can be memory thresholds, memory warnings, etc. All of the above depend on a GC that can be instructed to run for an exact amount of time. This kind of GC is what we call a realtime GC. And Lua does not have one. However it turns out that we can get very close to realtime with minor changes to the Lua GC. I guess however that everyone will want to use their own time function. The above code will run the GC for gcMilliSeconds ms. This way you will never be out of your frame time budget, because the garbage collection took a little longer to execute. Problem solved! 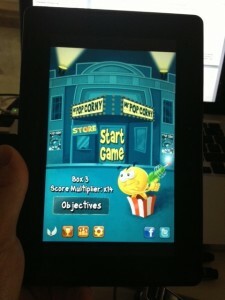 All game developers, sooner or later, learn to appreciate scripting languages. That magical thing that allows for letting others do your job, better scaling of the team, strengthening the game code/engine separation, sandboxing, faster prototyping of ideas, fault isolation, easy parametrization, etc. Every game has to be somehow data driven to be manageable, and stopping at simple configuration files, with many different custom parsers, without going the extra mile of adding a full scripting language, is 90% of the times a bad design choice. This is some “memory lane” kind of post. As you probably already know, I am working on an iOS port of Sylphis3d lately and I have been going through some old videos from Sylphis3D. I must admit the feeling is overwhelming. All those nights strugling with algorithms, data structures, broken drivers, experimental scripting… The vibrant community of people surrounding the project starving for more info on the progress. I really miss those days. I would like to share one of the oldest videos with you. The video below was “shot” in 2003 and is now of historical value! It features per-pixel normal mapped lighting with realtime shadows from every light in the scene, coupled with realistic physics. Note that this was more than one year before DOOM 3 came out… Enjoy!